PHP Auto Classifieds Script especially designed for car dealers, who would like to launch their own website with their own listings and information on it. It has a front site showing a search form with different options, a section showing the latest listings. 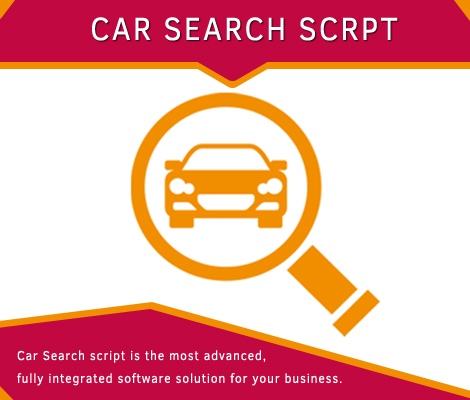 Car dealership script is an absolute must for car dealer or car classified websites. Search any make, model, and price and color vehicle by using the keyword search tool. You could even search within filters. Allow your site visitors to easily filter vehicles by allowing them to multi-select makes, models, features, pricing and more. Our auto classifieds script is user friendly, fully functional and easy to use, flexible and allows new fields for the different vehicle types to be added from the admin panel, so the car dealer is free to add the new fields. Shows image, title with description. Title show in which year the car was used. View all the photos of each cars. Price and the contact number can be displayed for each cars. Book the car by clicking the book now button. More details option to know the detailed description of the car. Write or view the reviews of each car. Featured car can be mentioned as featured. Individual landing page for each cars. External link for equipment and options, interior, Body and interior, More photos and email to a friend. Signup based on your role. Validation for all the fields. Account Activation link sent to your mail Id.